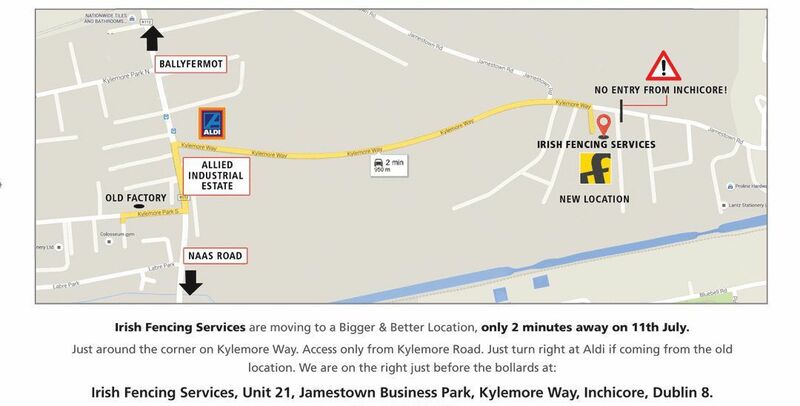 Visit us at Irish Fencing Services. Our premises at Jamestown Business Park gives us a new custom designed factory and over 50,000 sq. ft of outside space we can show our customers our interactive fence detection system, all of our different mesh products and variations of palisade and railings, to enable you to select the right product for your project. We can also show you the products you possibly didn’t know we supply and install like Bollards, Dugouts and Smoking Shelters,Timber Fencing, Composite Fencing, Handrails and Fall Protection barriers from the Kee Klamp / Kee Safety range. We hope to see you at D08 CX92 our new Eircode. Send us photos of your project, dimensions or design ideas. Just click on the contact form button below. 8am to 5pm Mon to Thurs. 8am to 4.30pm Mon to Weds.